Building has begun on four lots in this second phase of The Maples at Spring Mill. 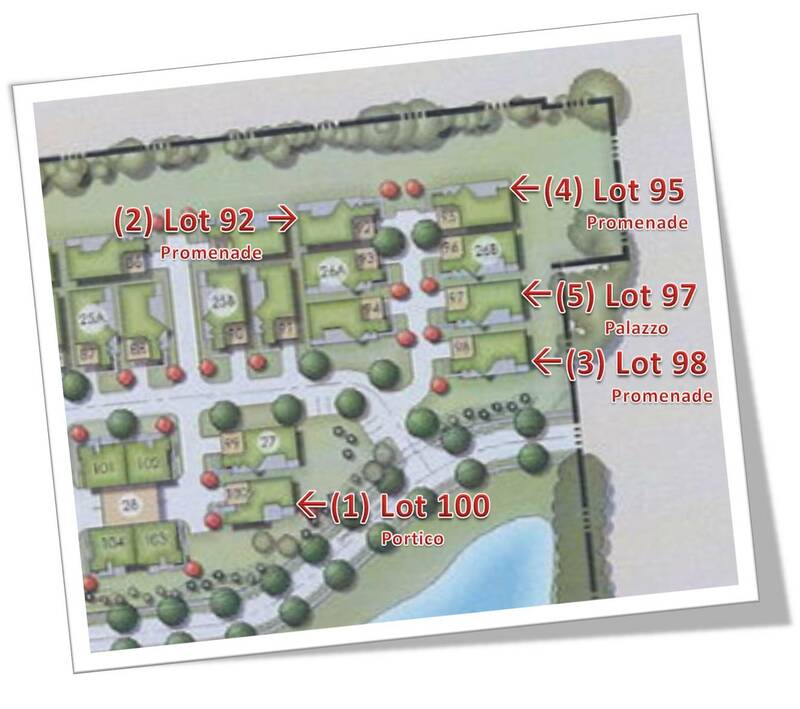 The building phases are being staged among these four lots in a rotation that goes like this … #1) Lot 100; #2) Lot 92; #3) Lot 98 (that’s us); and #4) Lot 95. See the photo below for a visual of this rotation. And, in my last post and next few posts you will see how each of these (including ours) is progressing. 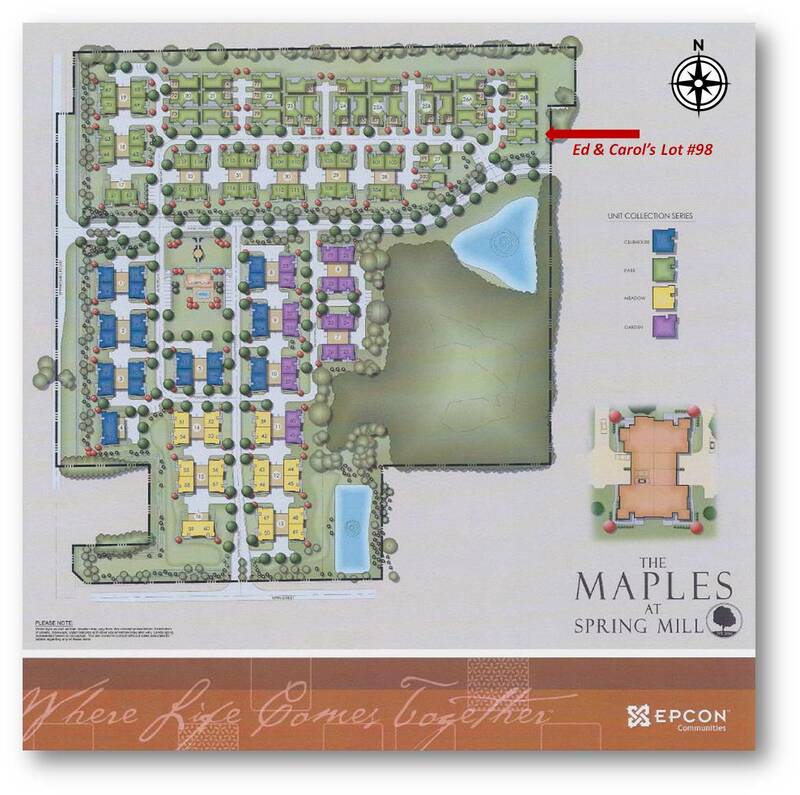 Welcome to The Maples at Spring Mill. This is the site plan. Our lot is #98 (top right). We chose this lot because it is the largest in phase II, it has an unobstructed view South over the pond, and it is on a corner. Click on the picture below to enlarge.